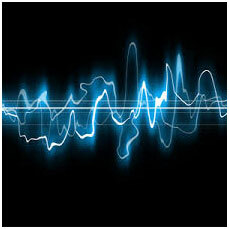 The Windsor Hum is a rumbling noise that has been identified by residents in Windsor, Ontario since approximately 2011. The noise, often described as a combination of sound and vibration, is said to vary in terms of duration and intensity and is quite low in frequency. Experts have been commissioned to identify the source of the noise, including researchers from the University of Windsor. These individuals have conducted studies in an effort to clarify the source of the noise and have determined the source to potentially be Zug Island, an industrial island between Windsor and Detroit. However, due to limited access to Zug Island, those studying the noise have been unable to confirm that it is the source. Many residents of Windsor-Essex County have heard this hum, describing it as constant and disruptive. Some state that the hum causes nausea and loss of sleep, and others note that the hum rattles their windows and the paintings on their walls. A Facebook group, known as Windsor Hum, consists of over 1400 members, and its purpose is to identify the source of the sound. Though the noise negatively impacts many Windsor-Essex residents, a solution to the problem has yet to be identified. Brian Masse, MP for Windsor West, and others have made efforts to address the Windsor Hum with representatives from the United States; however, a trans-border policy on noise does not exist, making resolution of this issue difficult. Kassam, A. (2016). The “Windsor Hum”: where is the noise plaguing a city of 210,000 coming from? The Guardian. Lewsen, S. (2016). Can You Hear It? The Walrus. Makarenko, A. (2016). Mysterious ‘Windsor Hum’ haunts residents as questions left unanswered. The Globe and Mail. Medeiros, T. (2017). The Windsor Hum Remains a Mystery. AM 800 CKLW. Ruel, M. (2017, June 12). Don’t Be Alarmed: Windsor Is Humming. Passport 17.